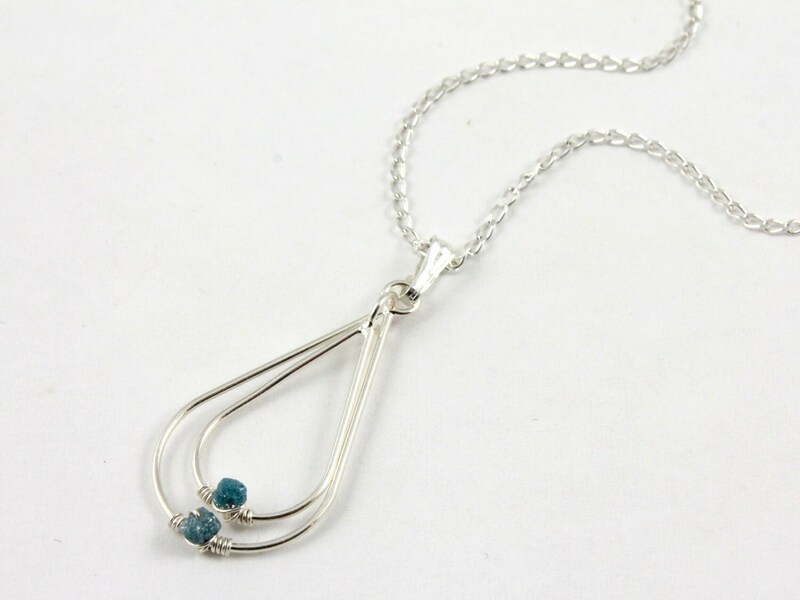 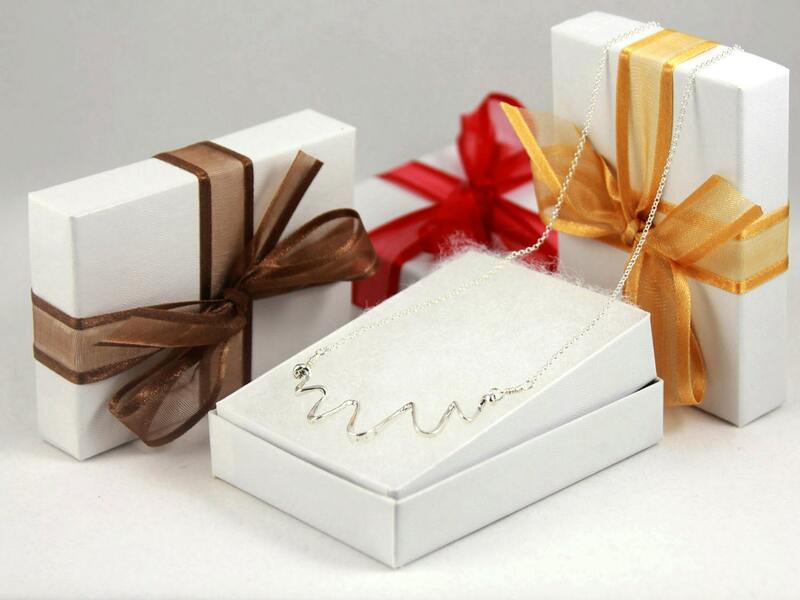 This simple yet classic necklace features double teardrop pendant with blue rough diamonds and hanging from Sterling Silver chain. 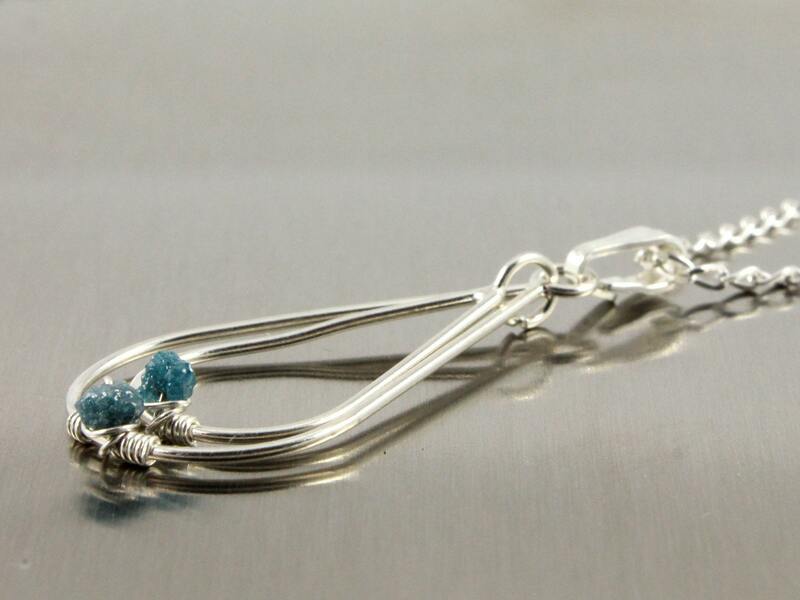 These rare blue gorgeous raw diamonds measure 2.5 - 3.0 mm and are nicely wire-wrapped with silver wire on each teardrop. 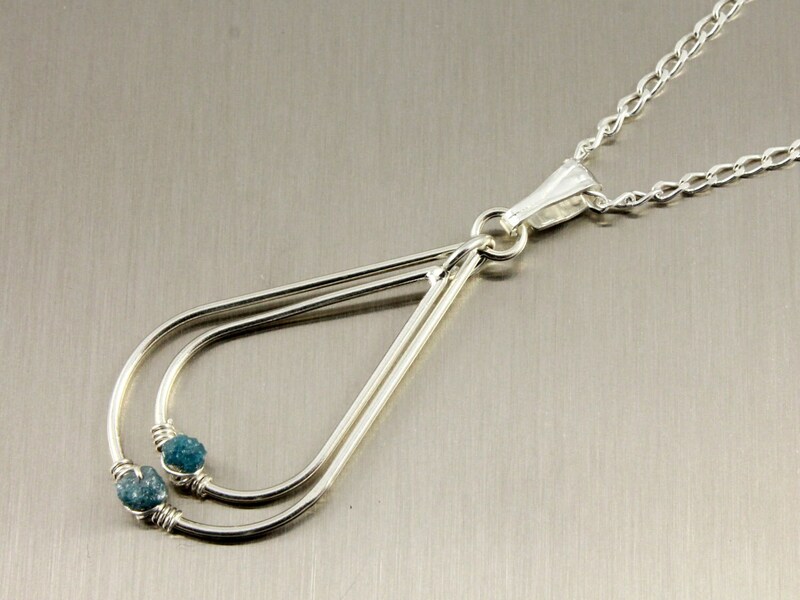 The teardrop pendants measures approx. 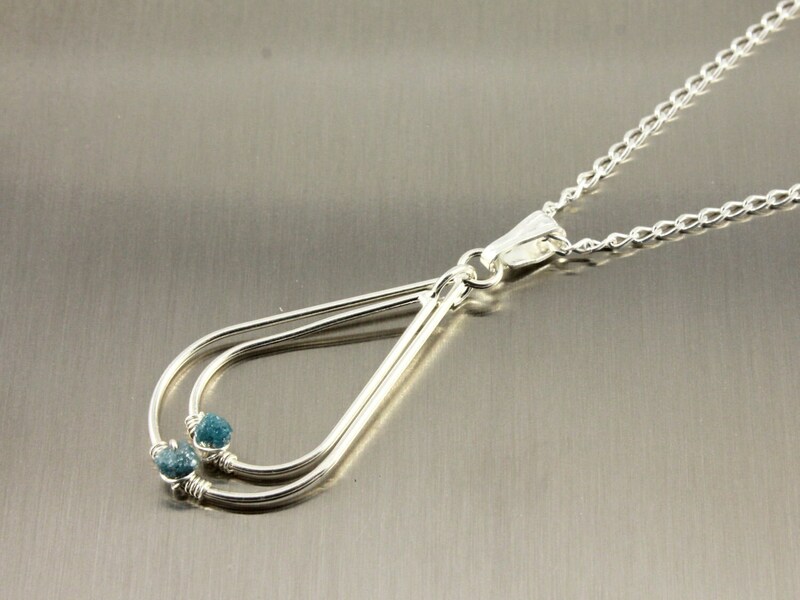 28 x 13 mm.